What’s worse: the terrible twos or the temperamental teens? Many parents would contend that it’s tougher to raise teenagers. That stage of development can leave a parent wondering what happened to their peaceful home. Like Dorothy in the Wizard of Oz, parents of teens can feel like the tornado of life has whacked them on the head. Leaving them muttering, “There’s no place like our old home.” Homework and hormones and cars, oh my…Homework and hormones and cars, oh my. Yikes! Raising a teen with mental illness (MI) can be even more challenging. How does one interpret a grunt? Is it the normal teen code for yes? Or is it the sound of an emotionally turbulent teen expressing garbled depression? MI complicates everything in the life of a teen. How does one counsel a troubled child about peer pressure issues? When should the teen be allowed to drive? In this part of our story, life seemed to be getting back to normal. The new medication had stabilized Chris. I was grateful Chris didn’t have to endure another psychotic episode. Though relieved, I still felt ill-equipped to discern how Chris was thinking or feeling. 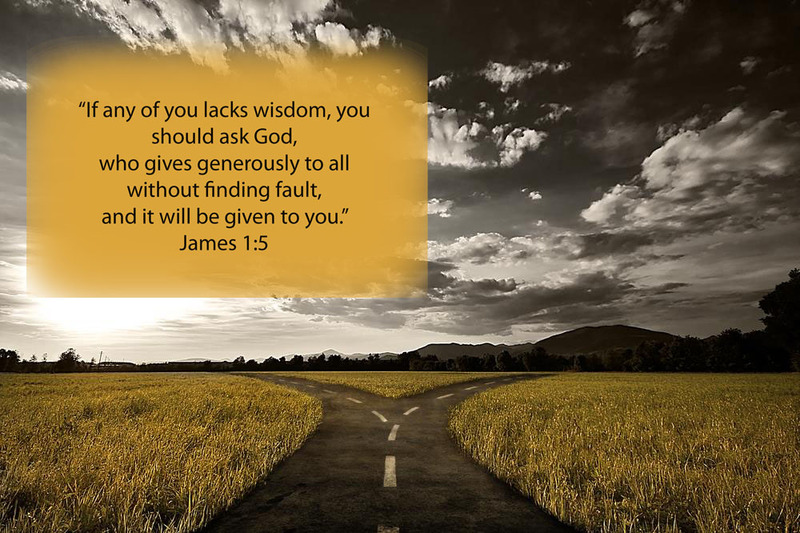 The Lord provided wisdom along the way. During Easter vacation Chris seemed happy and relaxed. He was more talkative, much like the old Chris. “My stress level is only a two,” Chris informed me without prompting. On a scale of 1-10, ten was the most stressed. So a two indicated a normal level of stress. Good news. Rob and Chris rehearsed a skit to show the family on Easter. They memorized the “Who’s On First?” skit by Abbott and Costello. I loved hearing them so happy and carefree. Their play practice assured me Chris’s new medication was working. I went into the dining room to get lunch money for the boys. Chris followed me. “Here’s your lunch money Chris,” I said and quickly turned to move on. In the kitchen I checked the upcoming menu I’d planned. Hum. Beef stroganoff. I’ll need to put the meat in the crock pot in the morning. I moved the beef cubes from the freezer and placed them in the refrigerator to defrost. I spun around to grab the noodles and seasoning from the cabinet. And knocked into Chris. He had followed me from the dining room. I scurried to the living room to check my date planner. What’s on my schedule for tomorrow morning? Out of the corner of my eye, I spotted Chris sitting near me. He had followed me from the kitchen. “Chris, are you bored or are you nervous about getting back to school tomorrow?” I snapped. Chris glared at me and walked away. Perfect! I’ve just added to his stress and made it difficult for him to talk to me. I know I should have been more compassionate. But I’m so busy. Father, help me know if Chris is feeling stressed. “I’m having a difficult time just thinking about going back to school,” he reported. His question concerned me. Certainly Howie and I would have no objection to him sleeping on our floor. We were happy to do anything to help him relax. But his question made me wonder. Why does he want to sleep in our room? Is this an indication that he’s feeling stressed? I can’t keep imagining his MI is getting worse. But what if he is becoming emotionally fragile? Dear Father, please give me wisdom to know what to say. Help me know if he’s in trouble. Chris asked to sleep in our bedroom for three consecutive nights. He also asked me to call his psychiatrist. It didn’t surprise me Chris was feeling more stress. The Spring Arts Festival was fast approaching. There would be many rehearsals. Chris’s schedule would become busier. Pressure would build. College added to that pressure. Many high school seniors become apprehensive about going away to college. Chris was no different. But he had made a wise choice to minimize his adjustment to college living. He had selected a small college fairly close to home. The small campus would be conducive to finding rooms and offices easily. The close proximity to our house gave Chris the option to go home on the weekends. That would alleviate any anxiety. In the spring we visited the college Chris would attend. We planned to travel to the college on a day other than orientation. That way, Howie and I could support Chris privately. We visited the nurse to share helpful and confidential information. After that Chris led the way as we went to the bookstore. He selected his textbooks. Then we headed to the Student Affairs office to inquire about Christian organizations on campus. Getting involved with fellow Christians would provide support for Chris. Chris walked through campus with a spring in his step, his head held high, and a smile on his face. It was reassuring to see him so happy and confident. Chris was looking forward to living in a dorm. He embraced the challenge of living on his own. He had always been a risk taker. And always super focused on achieving his goals. Around that time Chris joined the church’s bowling team. “What can bowling teach us about life?” Chris asked. He had a way of asking philosophic questions. And expected a profound or theological answer. As usual, he asked the question while I was involved in some mundane activity. I was unprepared to ponder a spiritual response. Oh Father, give me the words to answer Chris. Help me respond with an answer that will help satisfy Chris. Chris smiled and nodded in acknowledgment. My answer satisfied him. Thank You, Lord, for giving me an analogy he can relate to bowling. Whenever Chris uses the marks on the bowling alley to aim, help him remember the message You gave me for him. Fill Chris with the assurance that life won’t seem so overwhelming if he takes it one step at a time. In May Chris could see the finish line. Final exams came before graduation. Chris excelled in math. English was harder. Especially since he was taking an Advance Placement English course (a college-level course). The remainder of his grade would be comprised of the last marking period and two exams (the midterm and the final exam). If he failed the last marking period and either of the major exams, it was possible for him to fail English for the year. “My English teacher assigned a project that will be counted as a final exam,” Chris shared. As the days clicked down, I prodded Chris with casual reminders to do the project. In spite of my reminders, Chris waited to the last minute to work on the project. The night before it was due, he came to me asking for help. I reviewed the assignment. Students were to demonstrate what they had learned about English literature for their four textbooks—their four HUGE textbooks. He couldn’t tell me anything! Dear Father, calm my anger. I can’t believe Chris waited ‘till now to ask for help. I want to yell at him. Rebuke him for procrastinating. But I know that could push him over the edge. I need Your wisdom. I have no clue where to begin. Help me to know how to guide Chris. God gave me the idea to use the contents of each book to formulate questions. Those prompts helped him remember what he had learned. Amazingly Chris received a ‘B’ for that project. To God be the glory! There were only a few days left of school. I could tell Chris was cherishing every day he had with us. Soon he’d be going abroad. Four days after graduation he would leave to go to Germany. He would spend a month with a family as part of an exchange program. Then he’d be home for only several weeks during the summer before leaving for college. We would all need to trust God even more.